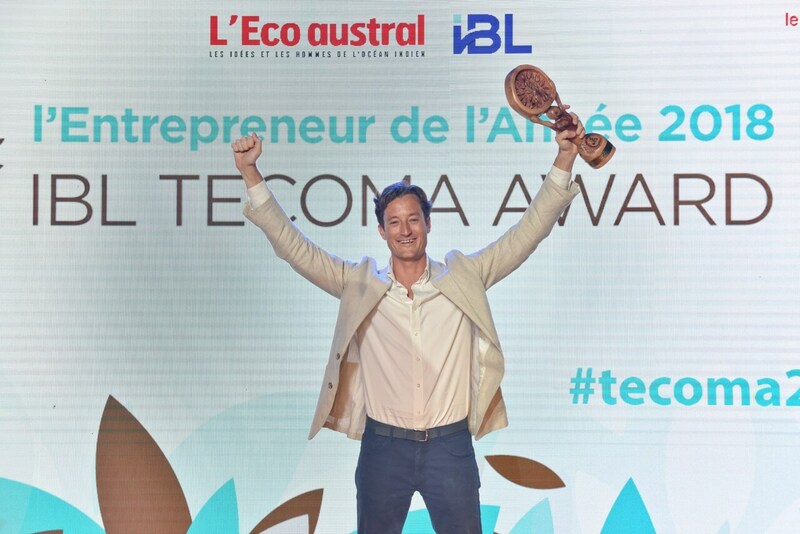 Christopher Rainer, co-founder and CTO of Marideal and PriceGuru, was elected Entrepreneur of the Year 2018 at the 15th Tecoma Award, organized by the regional magazine L'Eco Austral, in partnership with IBL Together, this Friday, November 9th at the Trianon Convention Center. He won the IBL Tecoma Award and came first in the "Progression" and "Innovation" rankings. 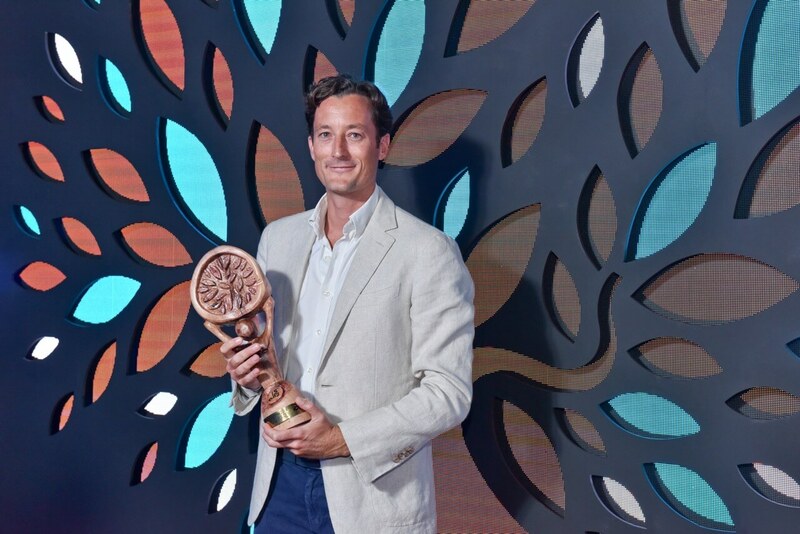 Emmanuelle Coquet, Managing Director of The Gourmet Emporium, won in the "Citizen Engagement" ranking and Renaud Azéma, General Manager of Vatel International Business School, came first in the ranking "Dynamism abroad", closely followed by Kendall Tang, CEO of RT Knits. Finally, Steeve Thomas, General Manager of New Capricorn Services, received the Jury Prize. The result of the election is obtained by survey, carried out by Kantar TNS with more than 200 Mauritian business leaders, and by the vote of a jury composed of six personalities of the economic world from Reunion, of which, last year’s winner who was the president. The poll and the jury vote each count for 50% in the final result. 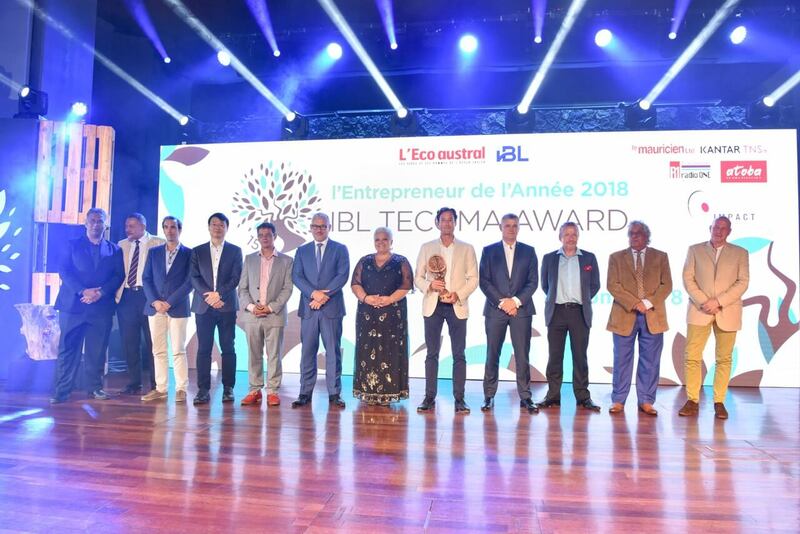 Initially, the five nominees are chosen by the editorial staff of L'Eco Austral based on four criteria that give the four rankings (Progression, Innovation, Dynamism Abroad and Citizen Engagement). The Entrepreneur of the Year is the winner of the overall ranking. It was during the evening, November 9th, that the guests were able to discover the results of this election full of suspense. It is Christopher Rainer’s face which appeared on the giant screen after the traditional countdown. By launching Marideal, thanks to the Internet, this entrepreneur has opened the hotels of Mauritius to the Mauritians. He also launched PriceGuru, an e-commerce platform popular across the island. "Technology is really transforming the traditional economy through the digital economy. It's really something that has democratized, not only access to information, but also to entrepreneurship. Today, we can be more efficient on the market because we are able to accurately connect supply and demand." 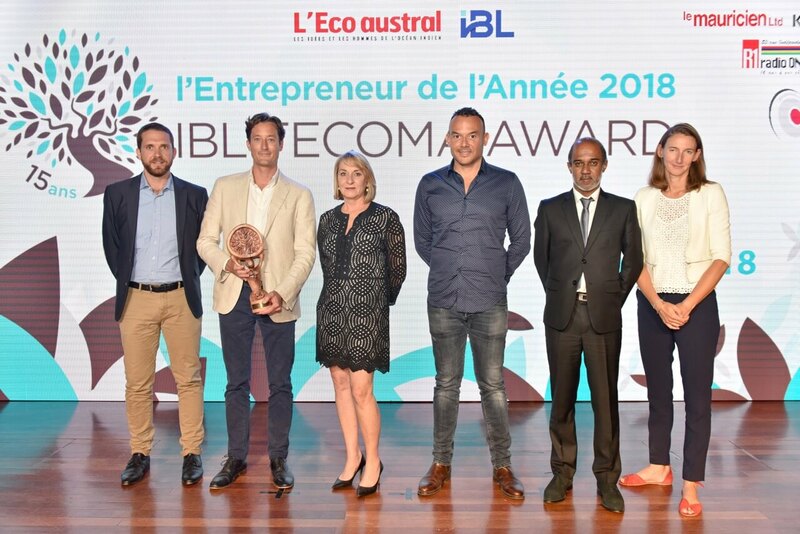 Alain Foulon, founder and director of L'Eco Austral: "We launched the election of the Entrepreneur of the Year in Reunion in 1995, in Madagascar in 1999 and in Mauritius in 2002. After our establishment in this country in 2001, we found that such an event did not exist. It was a shame because Mauritian entrepreneurs are very dynamic, but they do not always try to show what they do. With the Tecoma Award, we highlight the talent of these entrepreneurs and their employees. I am very happy that this has been going on for fifteen years. As for the tree that gives its name to the price, longevity can only be beneficial and allows us to aim higher. In 2019, on the 25th anniversary of the magazine, we will go further by launching a national mentoring program, based on the volunteer work of experienced and retired entrepreneurs and managers, who will accompany young entrepreneurs after been introduced to mentoring." 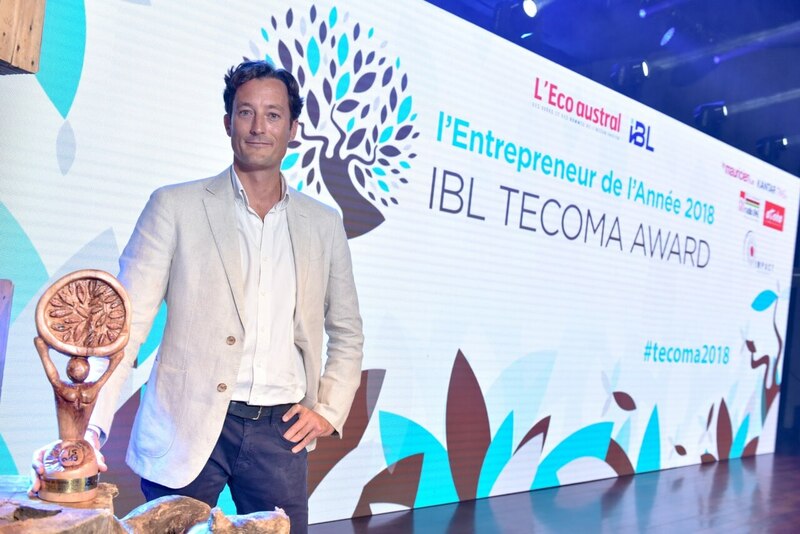 Arnaud Lagesse, Group CEO of IBL Together: “Since 2017, IBL Together has been engaged in a partnership with the Tecoma Award for a period of three years and we are very happy to be associated with this beautiful celebration of the entrepreneurship for the second year in a row! 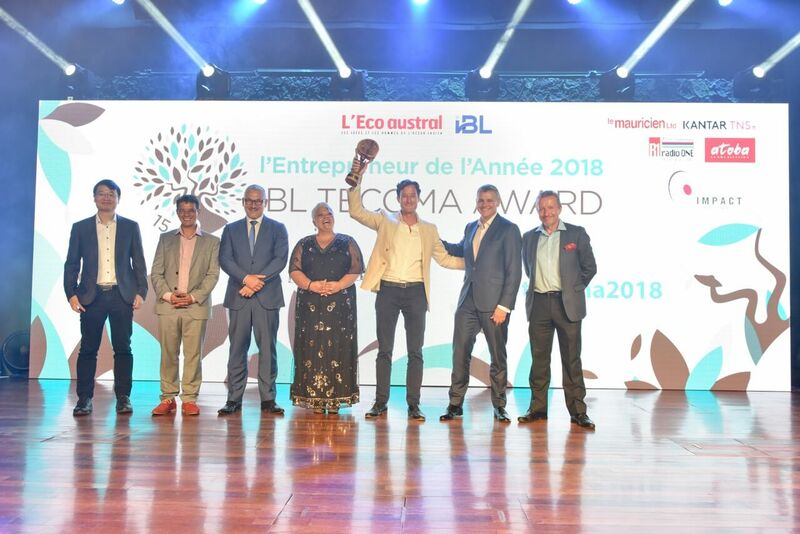 The entrepreneurial spirit is an integral part of IBL's DNA, and for me, this association with L'Eco Austral was immediately obvious. It is indeed this entrepreneurial spirit that has made the success of our Group and ensured its durability since its creation in 1830 (...) Through our financial strength and the diversity of the sectors in which we operate, IBL is ideally positioned to facilitate the acceleration of innovative companies. And with the agility that is practiced by our teams, we will systematically look for entrepreneurs and good ideas to support them and make them live. Whether in our Group or independently (...) Today, as in the past, we are firmly committed to sustain this Mauritian entrepreneurial spirit which is, I am sure, our economic future. Finally, I must add that I am - again this year - impressed by the quality of the nominees. A good sign that entrepreneurship is doing well in Mauritius!" Other members: Patricia Pérignon (Caisse d'Epargne CEPAC), Arnaud Leca (Orange Reunion-Mayotte), Steven Potet (Havas Reunion), Patrick Harrau (Labopix), Jérémie Edouard (Reunion 1ère). The jury met on October 31st in Reunion. After viewing videos and analyzing the detailed presentation files of each nominee, he was able to deliberate and vote in each of the four rankings. The jury members were mostly present at the 9th of November evening at the TCC.